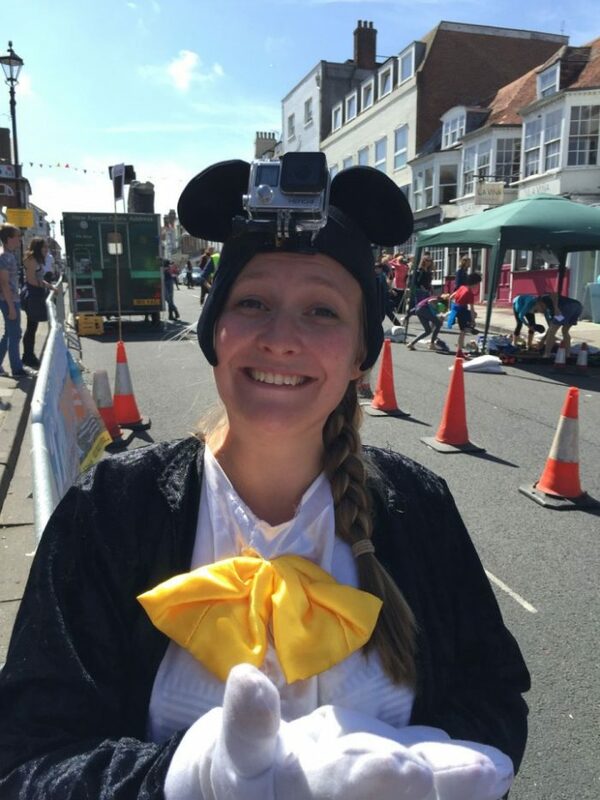 The creativity of local charity, Oakhaven Hospice, never ceases to amaze. 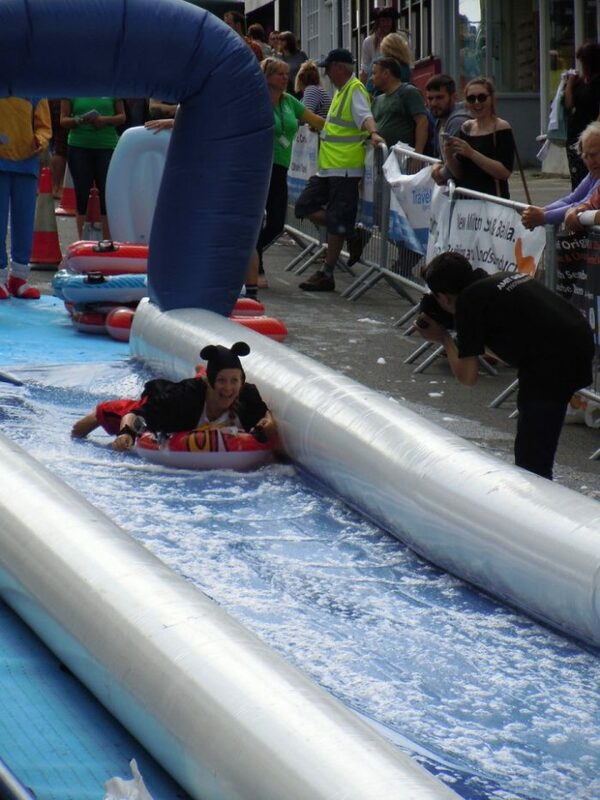 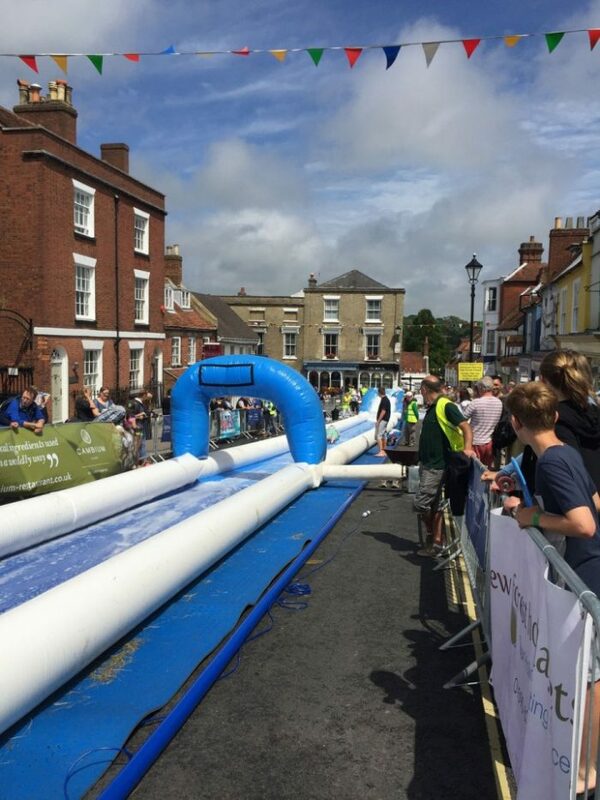 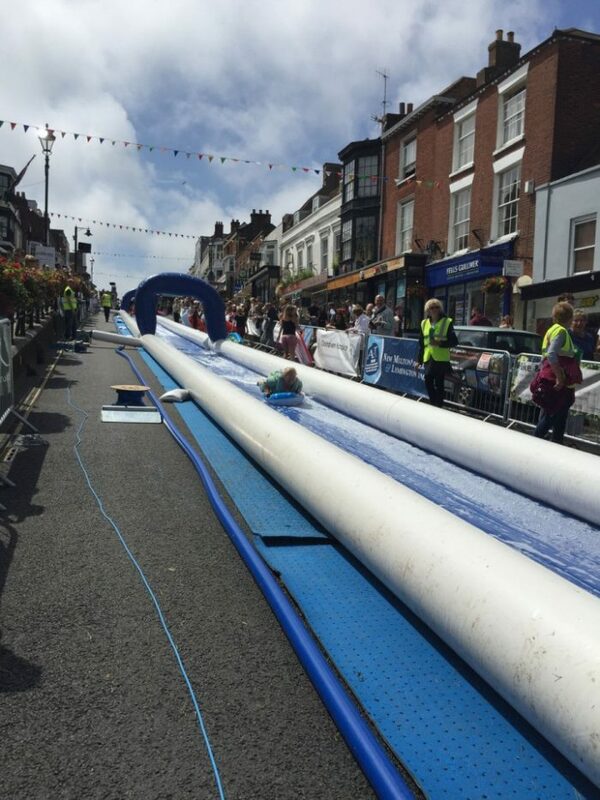 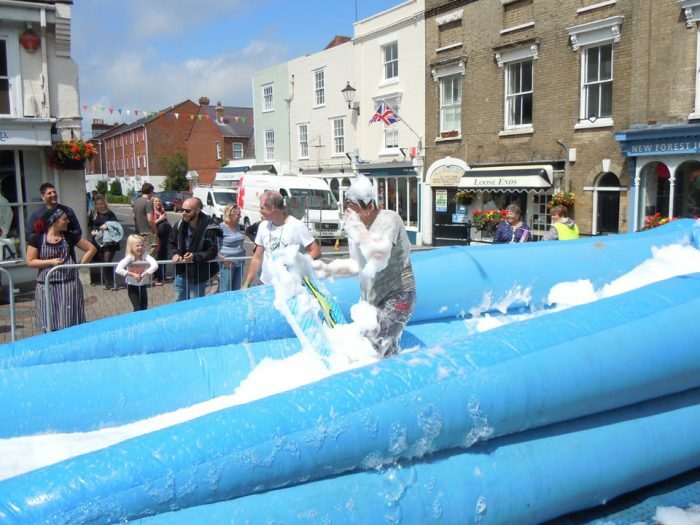 The latest event took place today in the form of an absolutely enormous water slide that carried thrill seekers all the way from WH Smith to the New Forest Ice Cream Parlour at the top of Quay Hill. 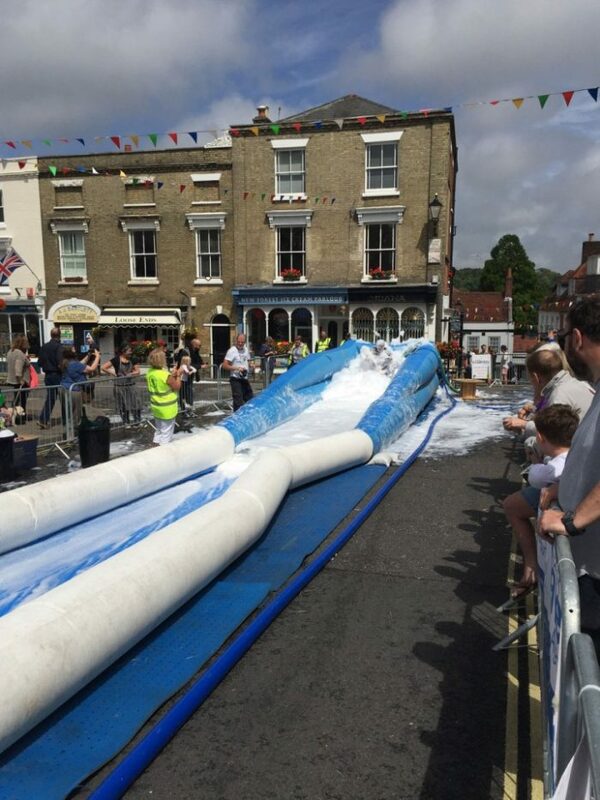 Despite one dislocated shoulder belonging to an over-enthusiastic dad, the event was a triumph. 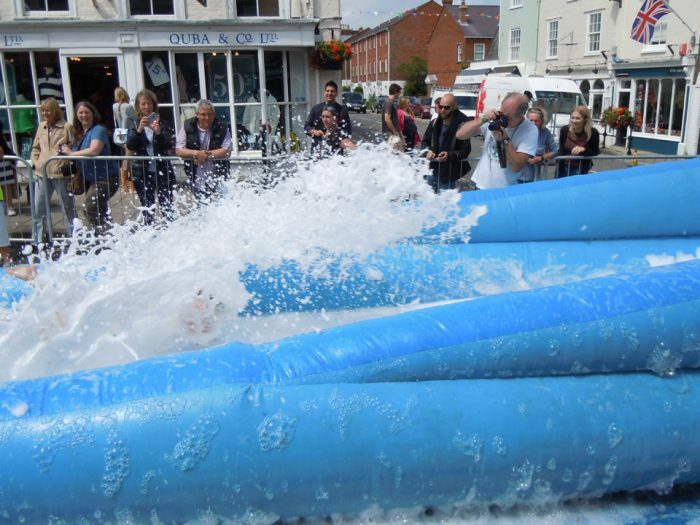 Dontations can be made all year round to Oakhaven – and hopefully this will make another appearance next year.